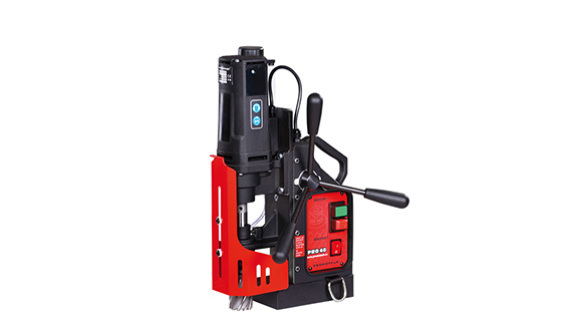 machines to effectively operate on non-ferrous materials, where it is impossible to fit the magnetic base of a drill directly to the workpiece. 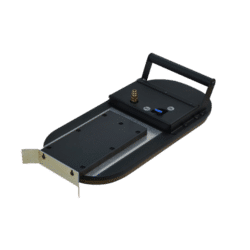 The vacuum pad provides the ability to drill on non-magnetic or thin surfaces and materials with certain surface imperfections. 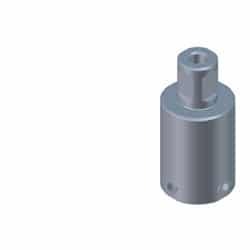 It is intended for use with stainless steel, aluminum and thin carbon steel plates. 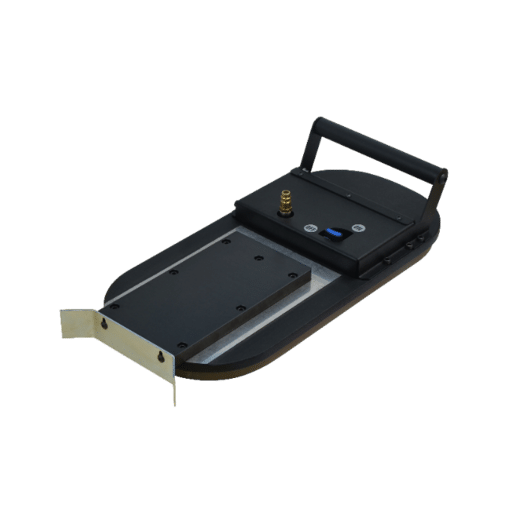 Depending on the requirements and operating conditions, the pad can be powered by vacuum supply or compressed air supply. 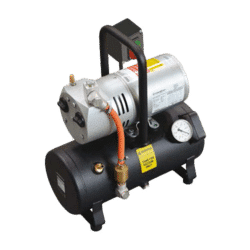 Optional configuration – compressed air supply- Optional compressed air ejector generates a vacuum thanks to high flow speed of air according to the Bernoulli principle. 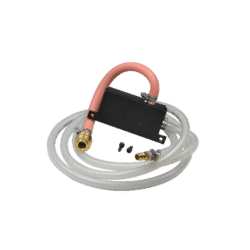 The vacuum pad equipped with the compressed air ejector can be an effective solution in numerous industrial plants and workshops, where compressed air pipe system is widely utilized. 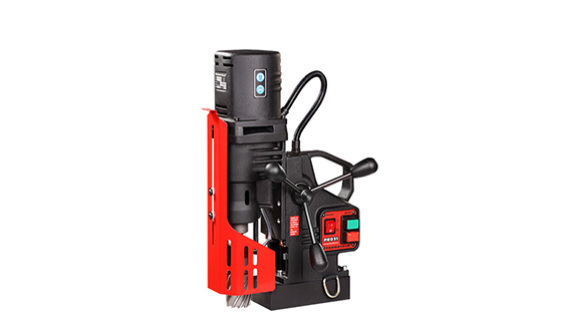 Make sure you are familiar with Promotech Vacuum Pad for Magnetic Drills brochure including technical data and detailed information about this product. Should you have any further questions we encourage you to send us an enquiry. 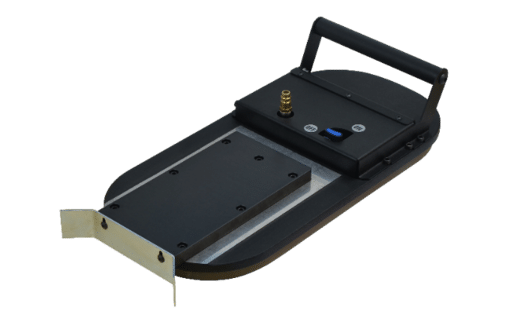 19-3/16" x 8-7/16" x 4-3/16"
Using vacuum pad results in decreasing regular depth of cut by 40 mm. 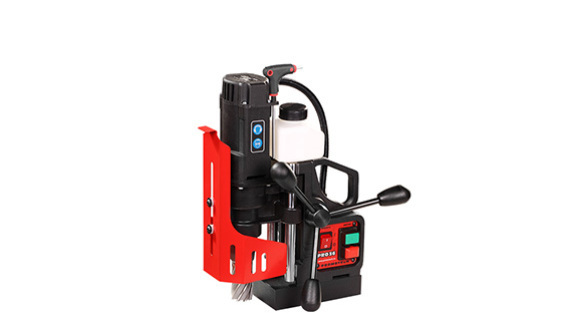 Maximum depth of cut depends on configuration in use.